This was fun! The banana was really ripe so it almost melted away as he tried to eat it. 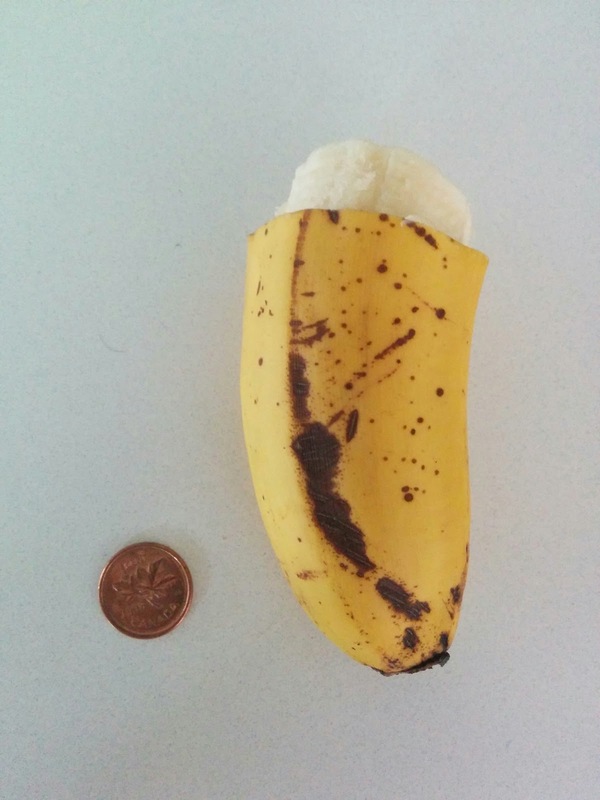 I simply cut a banana in half, took the bottom half and scored a line about 3/4 of an inch down and peeled the banana up to that line. Once he started running our of banana (mostly because it ended up absolutely everywhere! ), I repeated the process again. Beware, banana causes constipation! If you feed your baby banana, try also feeding oatmeal, plums, asparagus to help make sure he gets lots of fibre to help move it on through his system!